Jessi's Design: 5 on Friday & Christmas Swap! Happy Friday Ya'll! If you haven't joined the link-up already, check out these ladies and join in! Thanks Christina, Darci, April & Natasha for hoting (as always!) Today I am featuring my Christmas Swap goodies that I got from my swap partner. 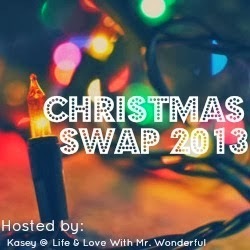 The swap host was Kasey at Life Love and Mr. Wonderful This was so much fun to do ya'll and I am so glad I got to know my swap partner more during the process. Anyway, today starts a break from work until January 3rd so lets get this show on the road! haha -Happy Weekend & Happy Holidays! My Swap partner was the perfect match for me! Kasey over at Life and Love with Mr. Wonderful hosted the swap this year and it was fabulous. There was a $15-$20 spending cap and it had to be mailed to your partner by about the 2nd or so of this month so we could blog about it today. Meet my Swap Partner! 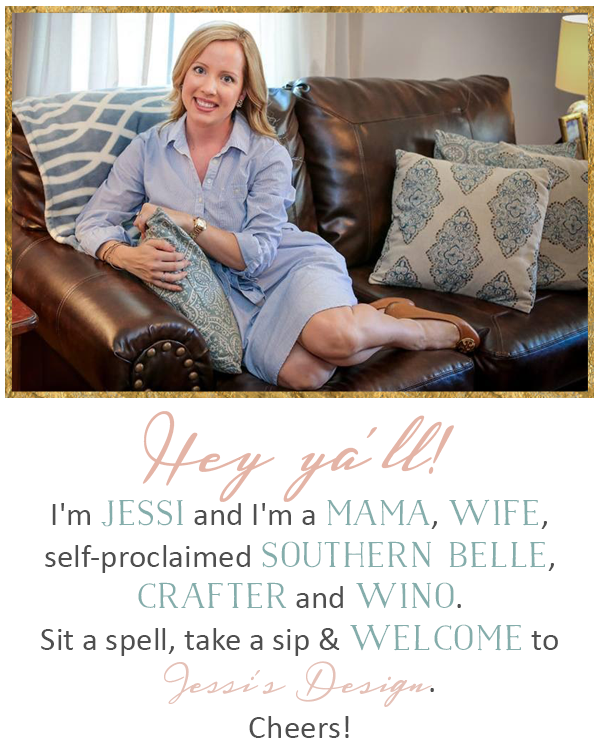 If you haven't checked out this Southern Belle's blog, get to it! 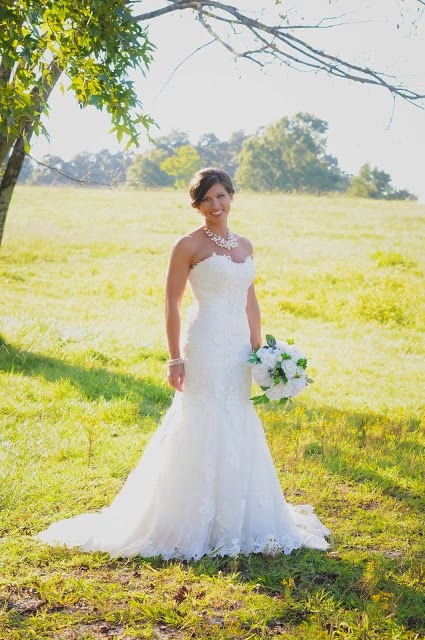 Meredith is absolutely beautiful & fabulous and she rocked the swap ya'll! 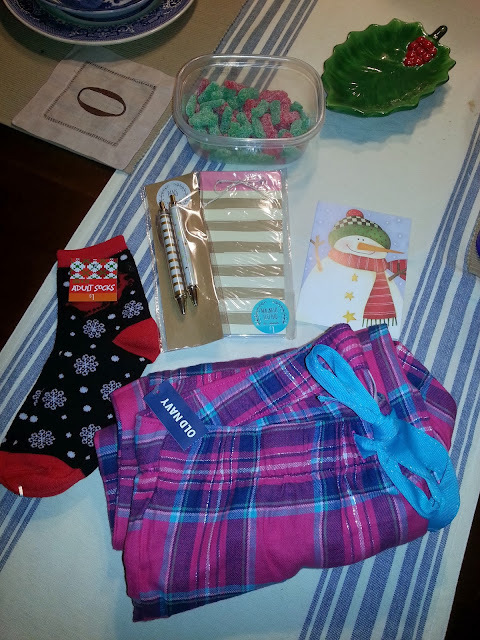 Here's what she gifted me: FABULOUS pink plaid Old Navy sleep pants, a fantastic festive Cheers banner for our mantel, gold accent pen & notepad set, Christmas socks & my favorite red & green Sour Patch kids (which I had eaten basically all of them because she gave me a huge bag!) Thank you Mrs. L!!! These babies! 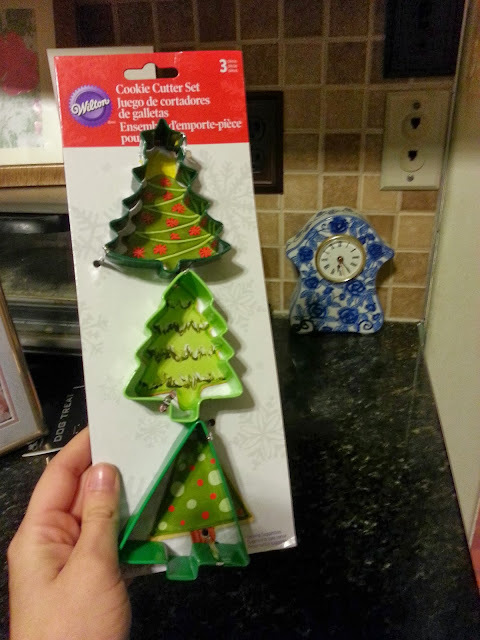 Can't wait to decorate tree cookies! Speaking of making cookies...need last minute, easy gift ideas using food? Check out this list I found! It had perfect options that are super simple. i SO badly wanted to send something wine related, but I was super afraid to send glass. I thought the Cheers banner would be Christmas festive and wine related :) I feel a lot of love coming from this post, thank you! you are so so welcome- everyone is loving that banner!! You are fabulous- hope you & B have a great weekend! soooooooooooooo cute, what a wonderful gift!!! Love the banner! meredith is so sweet, I link up with her for wedding posts! Stopping by from the link up! merry Christmas! Love the banner for your mantle! I think I'm going to have to do the swap next year, sounds like so much fun! It was so fun! You have to join! Awww, I love all of your gifts!! Meredith did such a great job and I'm so glad that you guys had fun being paired up with each other!! that fireplace is perfect, seriously. Meredith is the best!!! Cute stuff! Love the Cheers banner and all the gifts you got from the swap! That's such a great idea. Maybe next year I'll remember to join in...Cheers to the weekend! Sounds like fun, looks like she did a great job! What a FUN swap!!! Love all of the fab gifts your swap partner gifted you! I adore the banner ...and I may need to find some sour treats asap after reading about your other goodies ;) Thanks for sharing! Merry Christmas, Jessi! Enjoy your break!! XO! Thanks so much Brenda for stopping by and you and yours have a FAB Christmas holiday as well!! How fabulous! She really got you some great things. This is such a fun idea. Enjoy the holidays! Thanks Mariel and you do the same!!! Isn't that great!? Thanks April! I love love the Cheers Banner!!! SO perfect! I just got those exact pajama pants from Old Navy! The cheers banner is super cute! Thanks for the blog suggestion-I'm going to check her out now! And love the banner! The swap idea is SO awesome! I need to get in on something like that next year, for sure! 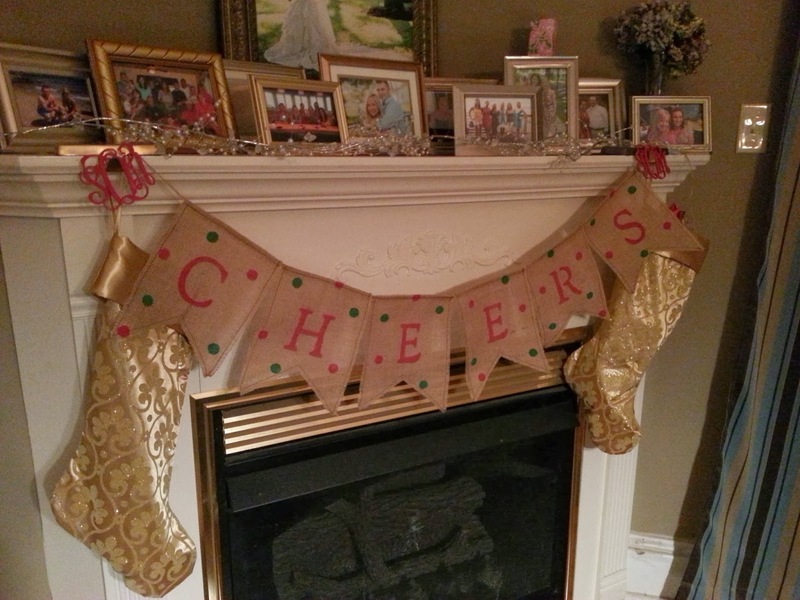 I love the "cheers" banner she sent- so festive. :) I'm going to check out her blog right now... thanks for sharing! 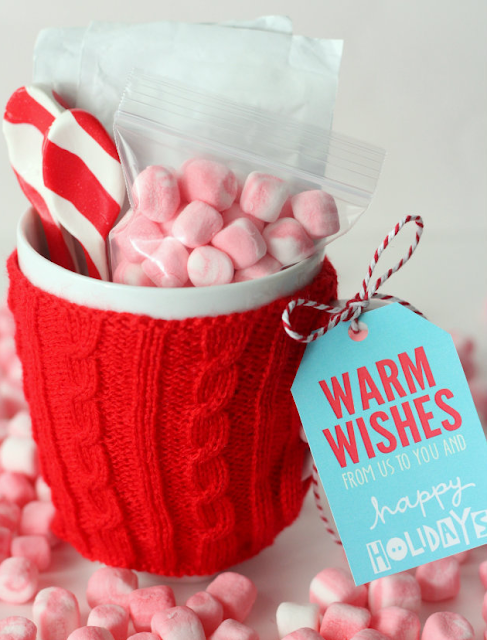 What a fun idea for the holidays - a swap!! Love that banner! Have a wonderful vacation & Merry Christmas!